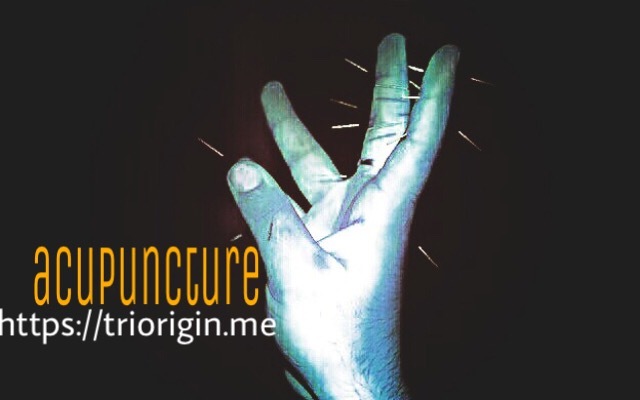 LUPUS and micro acupuncture on fingers! Posted on 12 Jul 2018 Author Dr. Dinesh kapur	No Comments on LUPUS and micro acupuncture on fingers! Known, as systemic lupus erythematous a chronic inflammatory an autoimmune disease though not contagious, which cause natural defense system to turn against own tissues and organs throughout body. It may trigger problems related to kidney, neurological dysfunction, and rheumatoid arthritis. No doubt, inflammation itself can cause damages to the heart, lungs, blood vessels, skin, and other parts of body. It can be because of genetic factors or environmental such as infections, certain antibiotics, UV light, severe stress, hormones and certain other drugs play a key role in triggering disease symptoms. In any case stress to be avoided. A butterfly shaped rash on the face (covering cheeks and bridge of nose) that often happens after one has been in exposure of sun. Skin lesions (typically aggravated by sun exposure) an important clue to diagnosis and a scaly, red or purple raised rash on face, neck, scalp, ears, arms, and chest. Fetal death in utero and spontaneous abortion, miscarriage is more to it. Feeling very tired and fatigue, muscle pains, malaise, includes fever; and an increased fatigue a classic sign that a symptom flare is about to occur. Heart problems; may develop chest pain or inflammation of heart sac (pericarditis), which may cause severe, sudden pain in center of left side of chest that may spread to neck, back, shoulders, or arms. Inflammation of blood vessels in skin or bleeding from blood vessels can lead to small or large blue spots or small reddish spots on skin or nail beds. Joints, muscle pain and swelling: Mostly joint pain (arthritis) and muscle pain considered to be first sign of disease. Joints may be red and warm and may swell. Morning stiffness may also be felt. Mouth sores and hair loss may occur. Sometime low-grade fever related to the disease. Nervous system symptoms; majority of people with lupus develop nervous system problems, most commonly headaches, depression, or anxiety. Raynaud’s phenomenon; affects small vessels that supply blood to skin and soft tissues under skin of fingers and toes, causing them to turn white and/or blue or red. The skin affected will feel numb, tingle, and cold to touch. Sensitivity to light; exposure to ultraviolet light typically worsens skin rash and can trigger lupus flares. •Swelling of hands and feet; some with lupus have kidney problems, which can prevent extra fluids from being removed from body tissues. As fluid collects, hands and feet may swell, could be lupus nephritis when blood or protein elevated in urine. Swollen glands; eventually many develop swollen lymph glands during a flare. In spite of any syndrome there is still a possibility to get positive changes in symptoms through micro acupuncture TriOrigin. One of the goals of controlling mild to moderate symptoms is to prevent flares, at the time when its worse. Learn warning signs of symptoms flare, such as fatigue, pain, and rash, and take steps to control them. Wear sunscreen and protective clothing when to be outside. With good self-care most people with lupus can keep doing their regular daily activities. It is important to learn about lupus so that you can understand how it might affect life and how best can cope with it. TriOrigin a powerful tool that aids in strengthening immune system and increase ability to work and quality of lives. It has been shown to promote the health and improve the body’s immune function, also helped many people who were not successfully treated through conventional western medicine. Several conditions can be dramatically improved. The beauty of concept is that each treatment caters to need of an individuals’ energy pathways that too only on palm, two fingers! Next Next post: SYNCOPE in excess and micro acupuncture!